Deadly England and Tottenham wonderkid Dele Alli loves doing this skill when he’s travelling across goal. It helps him create space for a shot or to play a killer pass to a team-mate. Learn more below! 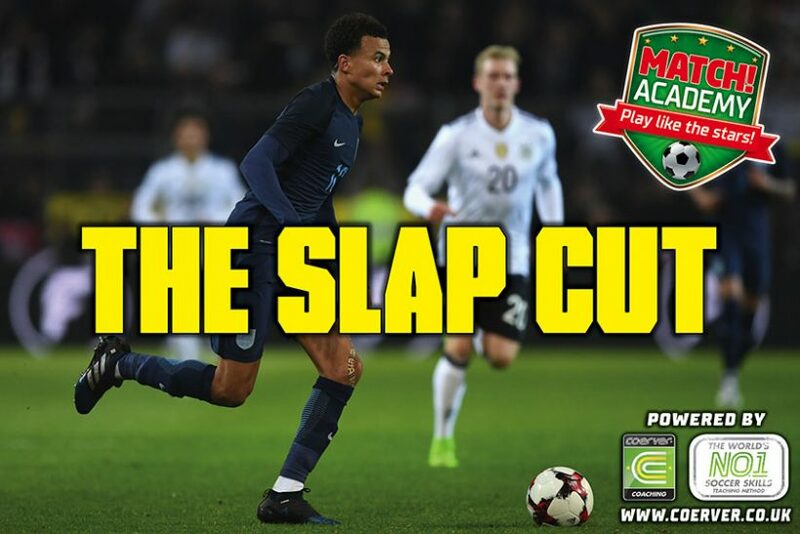 When performing the Slap Cut, make sure to sell the dummy to the defender by making it look like you’re going to perform a fast, inside foot pass to a team-mate. This will make your opponent speed up while you change direction and burn away! Roll the inside of your right foot over the ball then roll back with the outside of the same foot. Repeat the action while hopping on your standing leg (left). Push the ball forward and roll the inside of your right foot over the ball and stop with the outside of the same foot. Change direction and direct the ball forwards with your right foot. Accelerate away with the ball. Also repeat with your left foot. Change direction and direct the ball forwards with your right foot, step-over the ball with your left foot and change direction again. 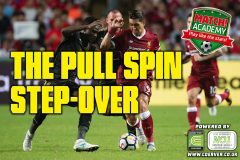 Now direct the ball forwards using the outside of the same foot and accelerate away.Also repeat with a left foot slap cut and right foot step-over.